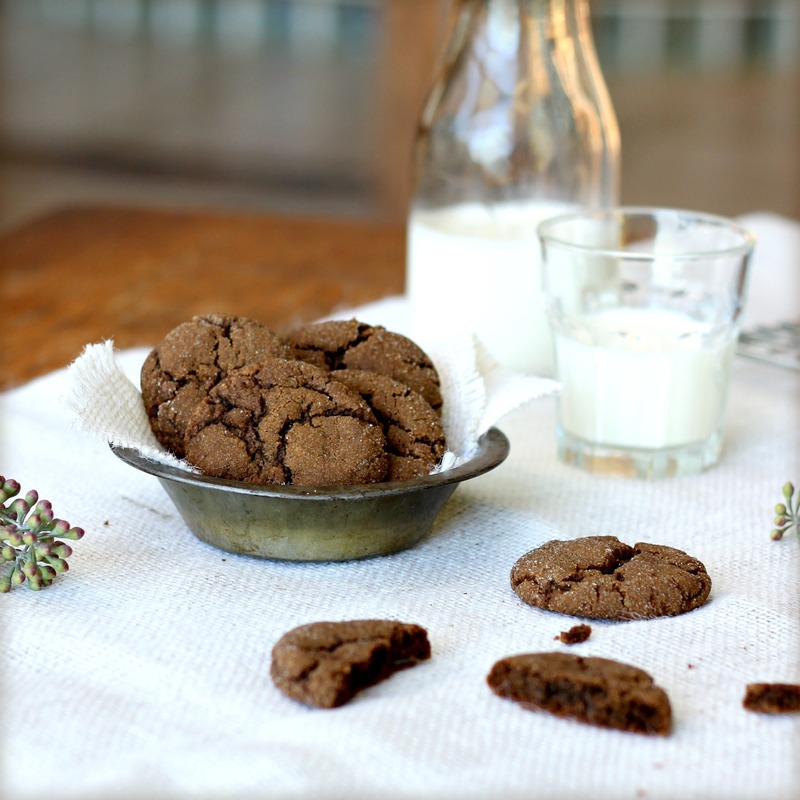 During this busy time of year I suggest you make a batch of these chewy and fragrantly spiced cookies to have on hand to keep your energy up. Best served with warm cider or hot spiced wine (gløgg). These cookies are a Christmas favorite. Makes about 42 (1 1/2-inch) cookies. Whisk the flour, baking soda, cinnamon, ground ginger, allspice, salt, and cloves in a bowl to combine. Cream the sugar and butter in the bowl of a stand mixer fitted with a paddle attachment until light and fluffy, about 3 minutes. Add the egg and molasses and mix well. Add the dry ingredients and mix to combine. Stir in the candied ginger. Refrigerate for 1 hour. These sound perfect for warming a person up even as it’s bitterly cold outside. I am such a sucker for ginger. Ha! Once again we are on the same wavelength. Check my post today! Funny. Hope you are enjoying this season. Delicious and irresistible! A great Xmas treat. I was wondering if the sugar is really suppose to be two cups. No, it should only be 1 cup. These cookies are not super-sweet. I am not a huge cookie eater but I do love some not-so-sweet ginger cookies. These sound great! Cider….what cider….bring on the Glogg for these lovelies!